You probably pick up a pencil every day: but have you ever wondered how it’s actually made? 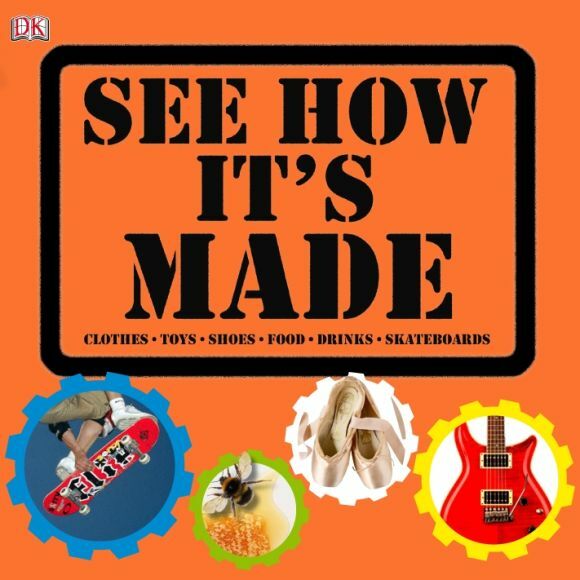 From chocolate bars to violins, See How It’s Made lifts the lid on all kinds of everyday objects, foods and toys, revealing the amazing ways they are designed and manufactured. Venture behind the scenes right into the heart of busy factories to see the step-by-step processes that turn sand into glass, give a football its bounce and squeeze toothpaste into a tube. You’ll even find out how this book was put together!